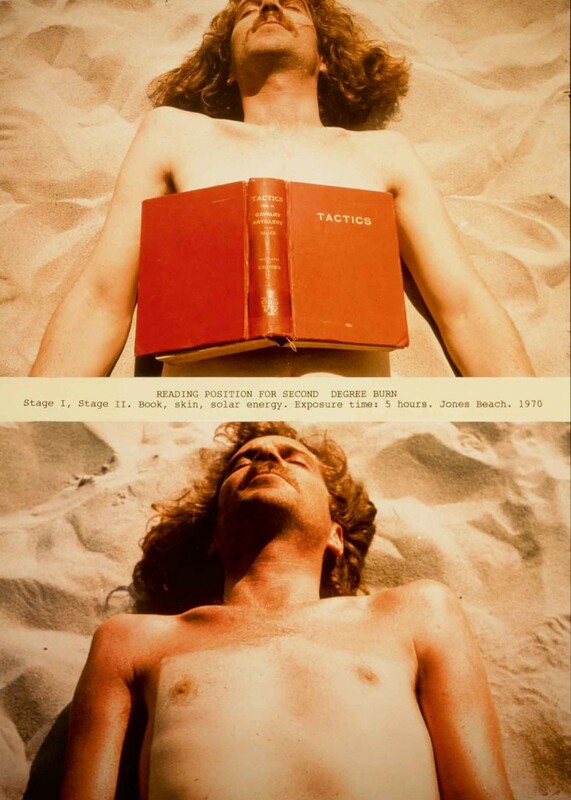 Presented at the Richard Saltoun Gallery, AKTION: Conceptual Art and Photography (1960-1980) debuted on July 13th and will be running through to August 25th. This exhibition explores the global Conceptual art movement through the work of 26 artists spanning over 13 different countries. The art itself explores different uses of photography whilst dealing with subject matters of feminism, political activism, performance, and overall social critiques. Some of the artists include Eleanor Antin, John Hilliard, Dennis Oppenheim and more. Their featured works, from ‘100 Boots’ to ‘Upstairs at Mobil’, are all demonstrations of the kind of innovative artwork that comes from all around the world. Further highlights include Hans-Peter Feldmann’s ‘Sunday Pictures’, in which he rewrites found images into a new narrative to bring a different life into originally dismissed photographs. Also displayed is ‘Reading Position for Second Degree Burn’, an intriguing image that portrays a sunbathing summer position that many might be familiar with. This exhibit proves that despite far distances, differing cultures, and the abundant amount of obstacles that come with thinking globally, art translates the same in every language. Art is a beautiful medium that transcends the usual barriers humans face when trying to communicate and understand each other. The artists, from different backgrounds with different approaches, can all be showcased and appreciated through their art. Categorized in the same genre, no matter the differences, their art is all a reflection of the way that they work and can be seen and appreciated by everyone.